Ah, to be enjoying the California sun again! We spent 2 weeks in California and the weather was glorious. 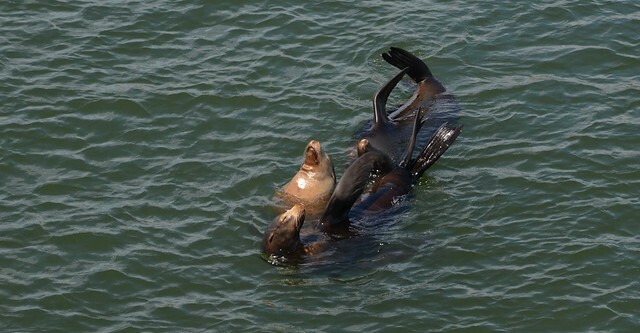 These 2 California Sea Lions were hanging out in the Pacific, just off the Santa Cruz pier. There was a large herd of them, lounging on the side of the pier on landings kept just for them. They barked and yammered, jostling for the best positions. 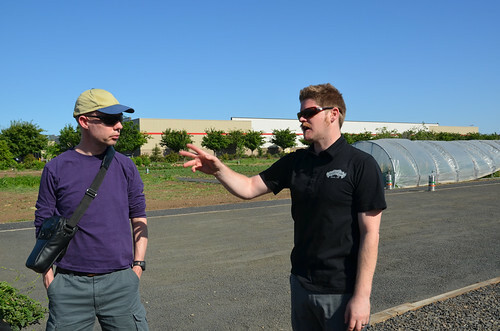 More on Santa Cruz later in the story…. We stayed with my mom most of the time we were there, taking some side trips out and about. We had only spent two nights at her house when we headed north to Chico, to spend 3 days with my niece and her husband. 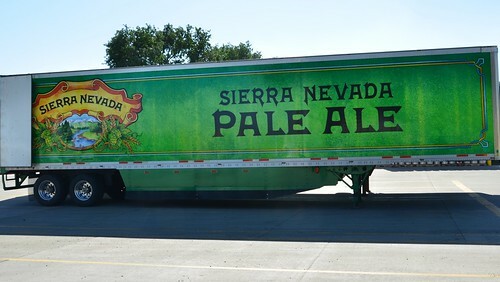 He works at Sierra Nevada Brewery and we got a special family tour around the place. 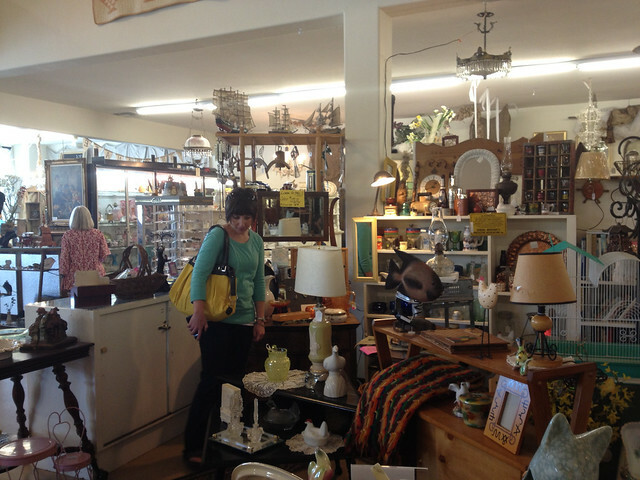 We hung out at M&J’s house, went out to eat, and had our own version of “Bargain Hunt” at one of the many antique shops in Chico. I really like Chico. 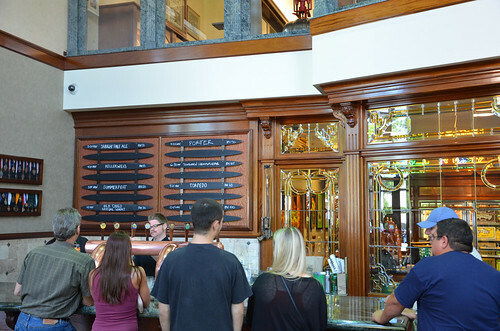 It’s a college town, big enough to be interesting and small enough to be cozy and charming. It’s even easy to walk and bike around town, which is unusual in the U.S. We left there already missing M&J. 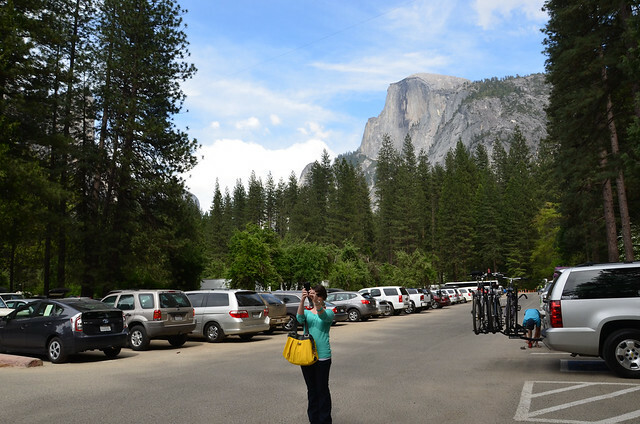 Only a few days later, M drove down to meet us and we headed up to the Sierra Nevada, to Yosemite National Park, to have Sunday Brunch at the Ahwahnee Hotel. What a treat! It’s a big spread with fresh oysters and other shell fish, several kinds of salmon, prime rib, egg dishes, chicken dishes, pancakes, cheese blintzes, and then there’s the dessert table. DB took our photo at our table. 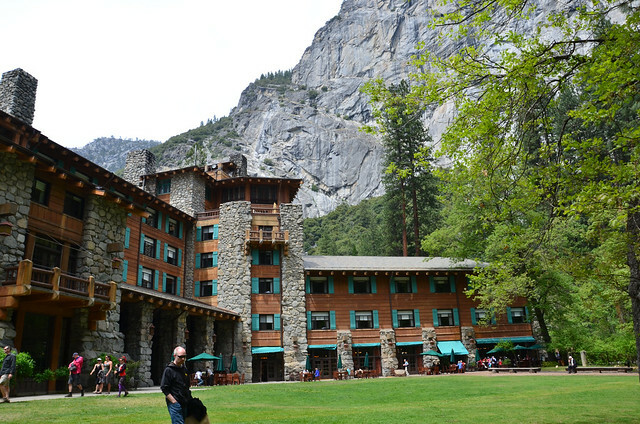 The Ahwahnee itself is an amazingly beautiful building, build in the 1920’s of stone and wood. When I win the lottery I’m going to stay there for a couple of weeks. We played tourists, rode around in the free shuttle bus, taking photos here and there. We did a little walking around the Visitor’s Center and went into the Indian Museum where I saw some amazing woven baskets. I wish I had taken photos of them but it was a bit dark for that. 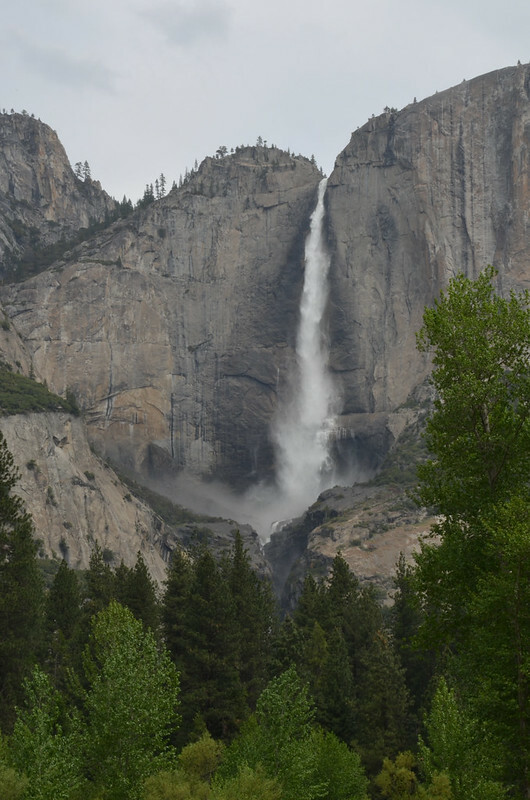 It was a quick trip to Yosemite Valley and then back home to Atwater. Last year, in June, we did a full day of hiking, which I really loved and I’m sure we’ll do again next year. 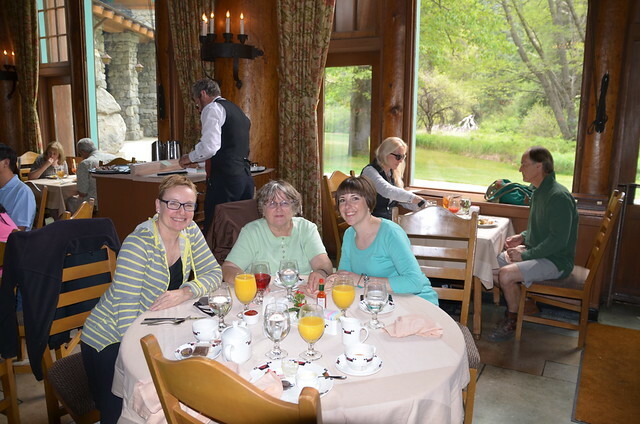 It had been at least 25 years since the first and only other time I had a meal at the Ahwahnee and I’m really glad we made the trip this year. Well, I think that’s it for this blog post. 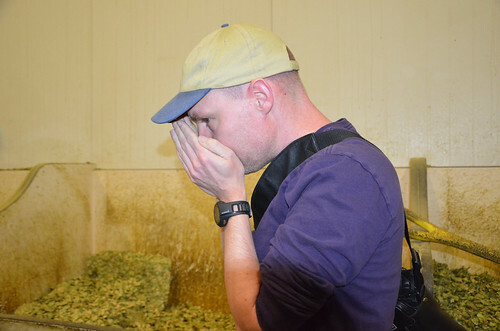 I’m only half way through the California trip, and still have lots to tell you about Estonia, but it’s clear that this story telling is going to take several days and several blog posts. Come back for more photos and travel tales!